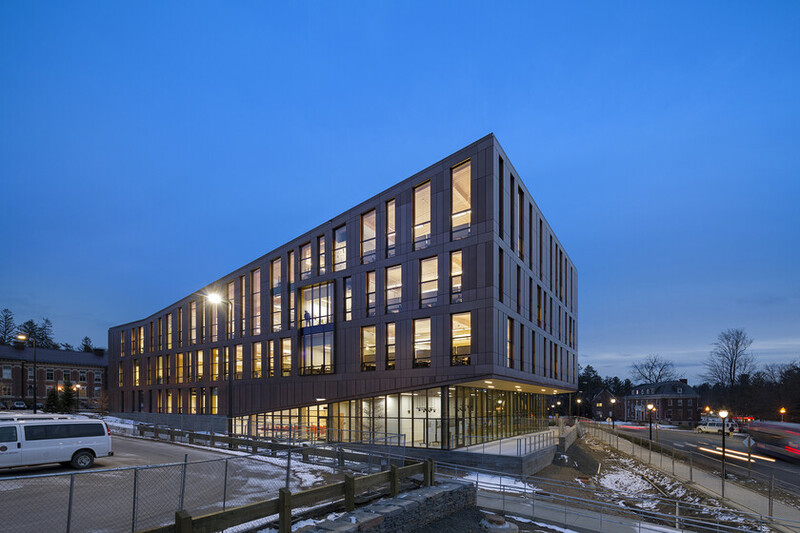 When completed in 2016, the new Design Building at UMass Amherst was the largest and most technologically advanced academic contemporary wood structure in the US. 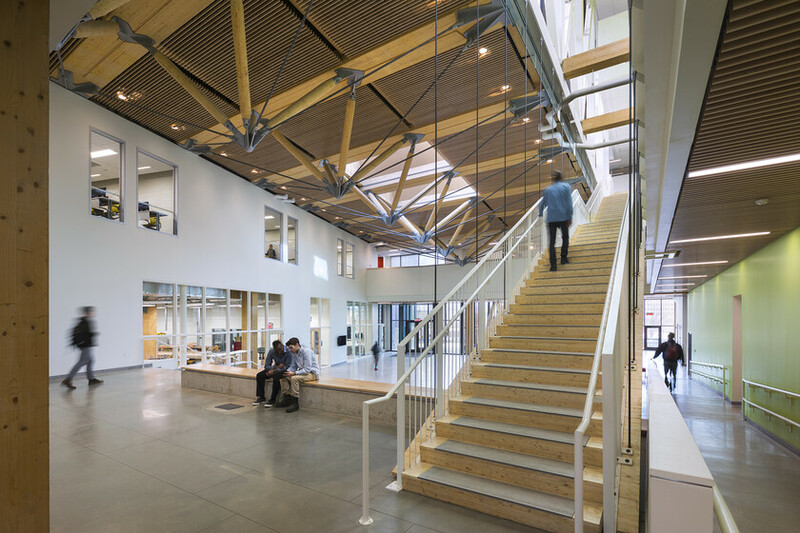 Working in close collaboration with the design and faculty advocacy team, Atelier Ten guided the environmental and lighting design for this extraordinary, interdisciplinary center targeting LEED Gold certification. 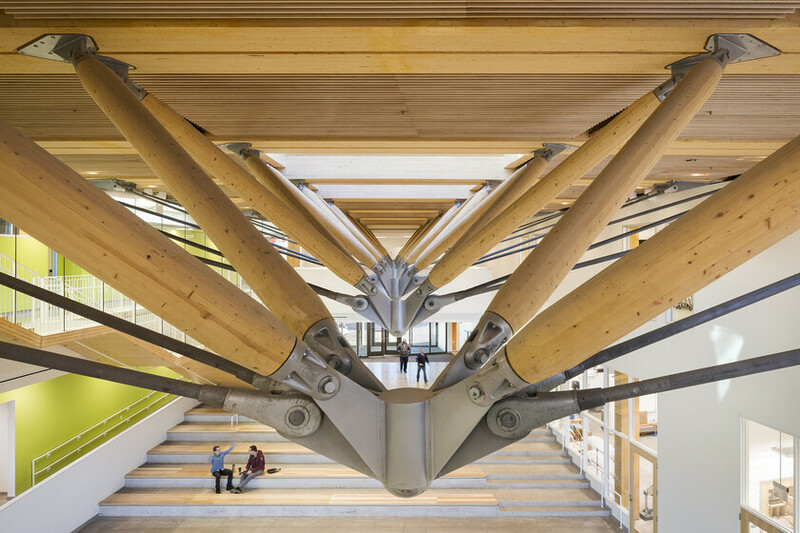 The skylighted Commons features a long-span wood-steel “zipper” truss system and provides an inviting gathering space. 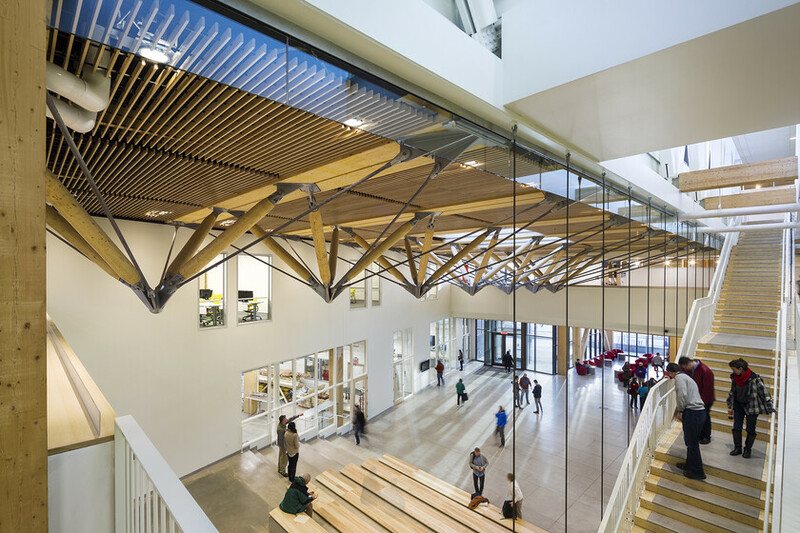 The architectural lighting system accents the distinctive wood and concrete enclosure, automatically responding to daylight levels to enhance visual enjoyment and energy efficiency. 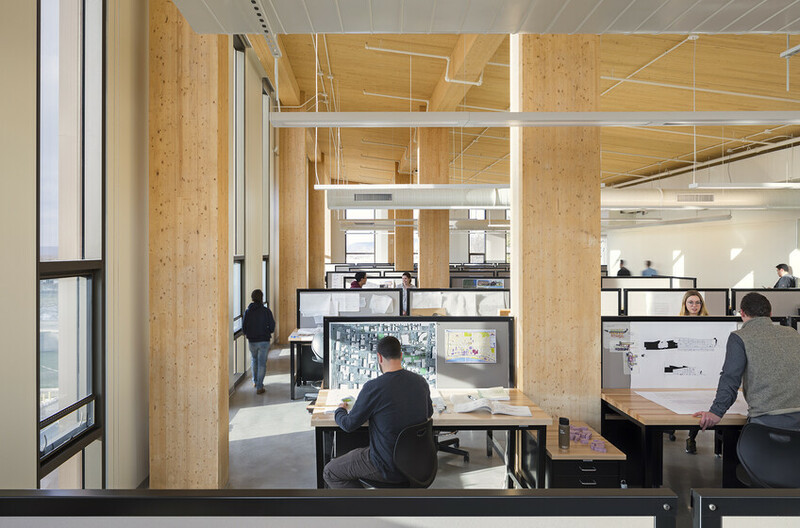 With an emphasis on visual and thermal comfort, the high-performance envelope ensures optimal daylighting, views, and insulation. 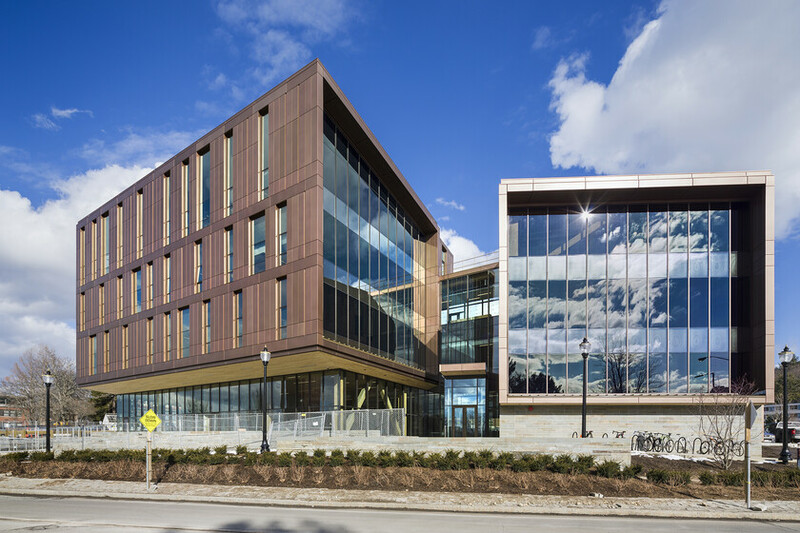 A green roof serves as an outdoor amenity and operates in combination with bio-swales and timber dams in the landscape for exceptional stormwater management. 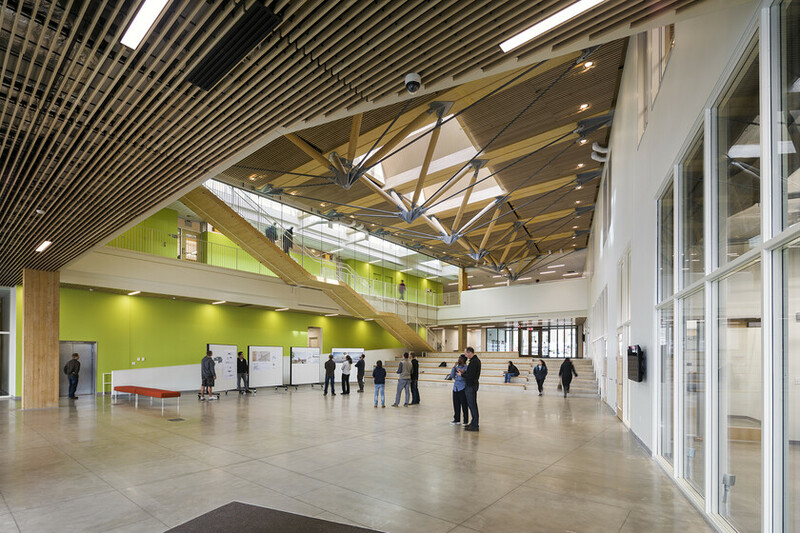 The project was exhibited in the National Building Museum, even before its final completion, as an example of advanced timber construction and it is on course for LEED Gold Certification.